Rotationally molded marching cases have durable straps with quick release buckles plus a comfortable handle. Marching tom cases work for Pearl quads, quints and sextets and must be shipped via truck. No foam. For 24 x 14 in. For 22 x 14 in. For 20 x 14 in. For 18 x 14 in. For 14 x 14 in. For 16 x 14 in. The Pearl Lifetime Warranty is a statement of confidence to our customers to the reliability of Pearl products. Pearl drums, stands and hardware are designed and manufactured to the highest standards in quality, style, appearance and playing performance. This lifetime warranty reflects a tradition of excellence and a commitment to superior engineering and craftsmanship dedicated to you, the drummer. The Pearl lifetime warranty is our pledge to you that we will proudly stand behind our product for as long as you own it. Buy it once, play it for life. General: Pearl drums, stands, pedals, parts and accessories except as noted herein, purchased from an authorized Pearl dealer are warranted to the original retail purchase and shall be valid by item as indicated below and is not transferable. Pearl warrants foot pedals, hi-hat stands, cymbals stands, boom cymbal stands, snare drum stands, floor-standing tom stands, floor-standing cymbal/tom stands, racks and rack accessories, cymbal holders, multi-clamps, claws, tension rods, swivel nuts, spurs, tom brackets, tom holders, strainers, and nuts and bolts to be free from defects in material and workmanship to the original owner subject to the conditions and limitations set as follows. Pearl will, at its option, either repair or replace any of the aforementioned Pearl pedals, stands, and drum parts purchased from June 15, 2009 that proves defective by reason of improper workmanship or materials. Replacement pedals, stands, and drum parts will be provided by Pearl on an exchange basis and will be either new or refurbished for the exact model under warranty. This warranty does not cover normal wear and tear or any damage to this product that results from improper installation, accident, abuse, misuse, natural disaster, repair or modification. This warranty also does not apply to any product on which the original identification information has been altered, obliterated or removed, has not been handled or packaged correctly, has been sold as second-hand or has been resold contrary to the US export regulations. As a condition to the obligation of Pearl to repair or replace such product, the product must be returned to the original authorized Pearl dealer where purchased together with proof-of-purchase satisfactory to Pearl. The warranty applies to the original purchaser and is non transferrable. All freight to and from Pearl is to be paid by the customer. Cables for cable hi-hats are guaranteed against defects in material and workmanship for a period of one (1) year from the date of the original purchase. Any electronic devices are subject to their individual warranty. Pearl warrants drum set wood and metal shells to be free from defects in material and workmanship to the original owner subject to the conditions and limitations set forth below. Pearl will, at its option, either repair or replace any drum set wood or metal shell purchased after January 2007 that proves defective by reason of improper workmanship or materials. Repaired or replaced drum set wood or metal shells will be provided by Pearl on an exchange basis, and will be either new or refurbished to be functionally equivalent to new or in the event Pearl discontinues the product model, a comparable current model shell will be substituted at the discretion of Pearl. Colors often fade with age and/or can be affected by sun, smoke, or other factors; therefore color matching cannot be guaranteed. Discontinued colors cannot be reproduced. This limited warranty does not cover normal wear and tear or any damage to this product that results from improper installation, accident, abuse, misuse, natural disaster, repair or modification. This limited warranty also does not apply to any product on which the original identification information has been altered, obliterated or removed, has not been handled or packaged correctly, has been sold as second-hand or has been resold contrary to the US export regulations. As a condition to the obligation of Pearl to repair or replace such product, the product must be returned to the original authorized Pearl dealer where purchased together with proof-of-purchase satisfactory to Pearl. The warranty applies to the original purchaser and is non transferrable. All freight to and from Pearl is to be paid by the customer. Shells (Marching): Wood marching shells are guaranteed against material failure or going out of round for a period of three (3) years from the date of the original purchase. Drum Hardware (Marching): Drum hardware such as lugs, claws, tension rods, swivel nuts, strainers, and nuts and bolts are guaranteed against material failure and manufacturing defects for a period of one (1) year from the date of the original purchase. Drum Hardware (Concert): Drum hardware such as hoops, lugs, claws, tension rods, swivel nuts, tom brackets, tom holders, strainers, and nuts and bolts are guaranteed against material failure and manufacturing defects for a period of three (3) years from the date of the original purchase. Marching Carriers: Marching carriers are guaranteed against material failure and manufacturing defects for a period of one (1) year from the date of the original purchase. Marching Cases: LIMITED LIFETIME WARRANTY! 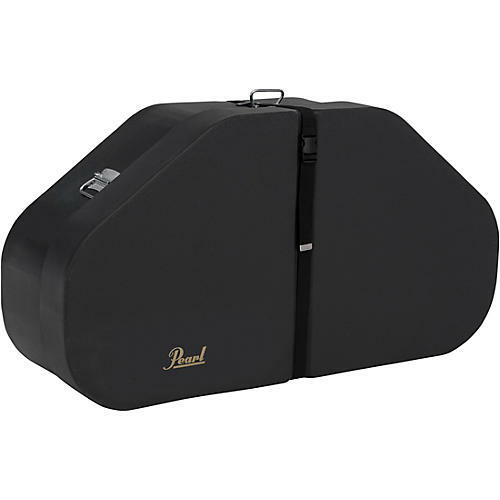 Pearl rotationally molded marching cases are covered by a LIMITED LIFETIME WARRANTY and are warranted against defects in materials and workmanship to the original owner. Pearl will, at its option, either repair or replace any rotationally molded case that proves defective by reason of improper workmanship or materials. Replacement rotationally molded cases will be provided by Pearl on an exchange basis and will be either new or refurbished for the exact model under warranty. Educational Percussion (Snare Kits/Bell Kits/Percussion Learning Centers): Pearl Educational Kit products are guaranteed against defects in material and workmanship for a period of one (1) year from the date of original purchase. Adams Products: All Adams Products are guaranteed against defects in material and workmanship for a period of one (1) year from the date of original purchase. Mallet bar sets are entitled to one (1) free tuning during the period of one (1) year from the date of original purchase. Individual bars may be exchanged as often as necessary during the period of one (1) year from the date of original purchase. For rosewood and padouk bars, Pearl/Adams highly recommends waiting for nine (9) months from the date of original purchase before exchanging or tuning the bars. Pearl Percussion Products: All Pearl Percussion Products are guaranteed against defects in material and workmanship for a period of two (2) years from the date of original purchase with the exception of rims, lugs, tuning plates which are warranted for one (1) year. Cajon shells are warranted for two (2) years excluding the playing surfaces which are not warranted. The head on the Fun Drum is not warranted. Pearl Taiko heads are warranted to the original owner for (1) one year from the date of purchase. Breakage prior to (1) one year is covered under warranty. It is the ownerâs responsibility to adequately package the drum and send it to a Pearl authorized service center for repair at the ownerâs expense. Pearl will repair the damaged head(s) as quickly as possible and prepay the return shipping. Breakage due to normal wear and tear or abuse is not covered under warranty. Finish: Except for âspecial finishes" (see below), both the lacquer finish and covered finish on Pearl drums are guaranteed for one (1) year; however, Pearl does not guarantee against deterioration by reason of corrosive atmosphere, extreme temperature or other external causes. This Warranty Does Not Cover: This warranty shall not apply to the following: sticks, brushes, beaters, springs, straps, slings, heads, wire snares, cable snares, gut snares, snare cords/straps, cymbals, bass drum hoop protectors, or damage resulting from misuse, negligence, and/or alterations or additions to the product after acceptance. Pearlâs warranty does not apply to failures caused by the following: a.) Improper maintenance or repair, including the installation of parts or components that do not conform to the quality and specification of the original. b.) Instruments that have been altered, modified or have been damaged through misuse, negligence or improper operation. c.) Instruments whose trademark, name or identification number has been changed or removed. d.) Instruments subjected to abnormal strain, neglect, abuse, modification or exposure to extreme variances in temperature or humidity. e.) Special Finishes - Drum hardware and stands ordered with Black Chrome plated, Gold plated, Satin Chrome plated, Black Nickel plated, and lacquered finishes are highly sensitive to cosmetic damage that can occur during normal handling and use. Therefore, no warranty of any kind, including any implied warranty of merchantability or fitness for a particular purpose, is provided against cosmetic defects or appearance damage to these finishes. The obligation created by this warranty is limited to repair or replacement of the defective item at Pearlâs sole discretion. Ownerâs Responsibility: It is important that the owner/user be familiar with the proper maintenance and use of their Pearl instrument. Keep this warranty and proof of purchase in a safe place. Be prepared to provide purchase information to avoid undue difficulties in determining eligibility for warranty protection. If any service is not performed by Pearl, it will terminate this warranty. To Obtain Warranty Service: Warranty service may be obtained by first notifying the Pearl dealer from which the product was originally purchased. Upon notification, the Pearl dealer must obtain Return Authorization from the Pearl Customer Service Department. This number must be written plainly on the outside of the package or the returned shipping carton will be refused. Returned merchandise must be accompanied by a copy of the original sales receipt. All freight and insurance must be prepaid by the original owner. Pearl will stand return freight, provided the defect is adjudged to be covered by warranty. Merchandise found to be not covered by warranty will be returned freight collect. Warranty Limitations: This Limited Warranty is exclusive and made in lieu of all other warranties, and all implied warranties, including without limitation any warranties of merchantability or of fitness for a particular purpose which are hereby expressly disclaimed. In no event will responsibility be accepted for incidental or consequential damages of any nature whatsoever. Some states do not allow limitation on how long an implied warranty may last. Therefore, the above limitations or exclusions may not apply to you. Note: This WARRANTY applies to the United States only and may vary in other countries.